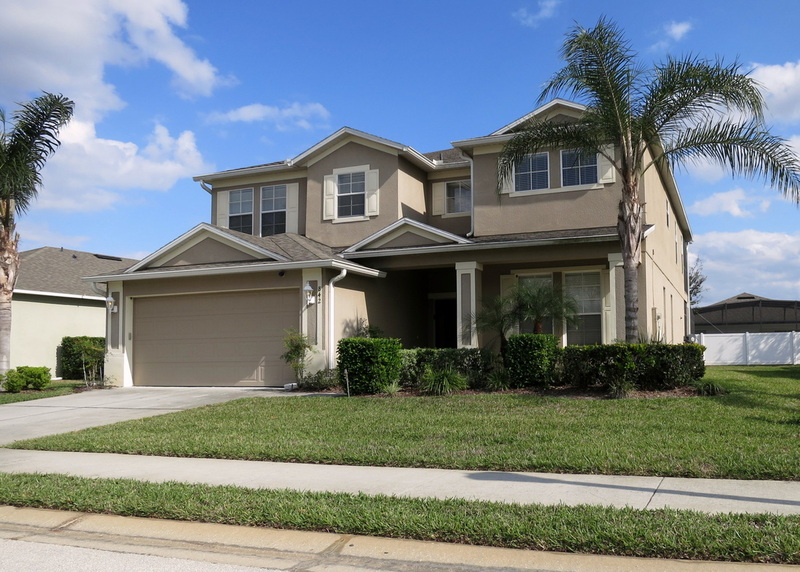 This beautiful home with a southeast facing pool and heated spa located 10 minutes from Disney offers nearly 3500 square feet of finished space in the beautiful, private gated community at The Shire in West Haven. Champions Gate, a prestigious golf resort, is just a 9 iron away! West Haven is perfectly situated ten minutes from the Walt Disney World gates but far enough away from the crowded tourist areas. 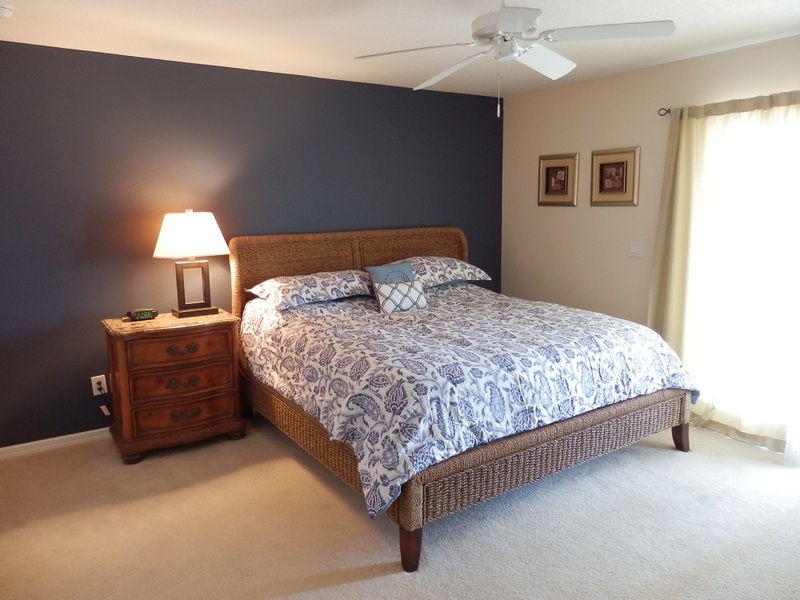 Our home has 5 beautiful bedrooms and 4 bathrooms, a 40 foot enclosed balcony, large covered lanai and games room.. A king sized master ensuite with a huge master bathroom with a garden tub and shower is located on the 2nd floor. 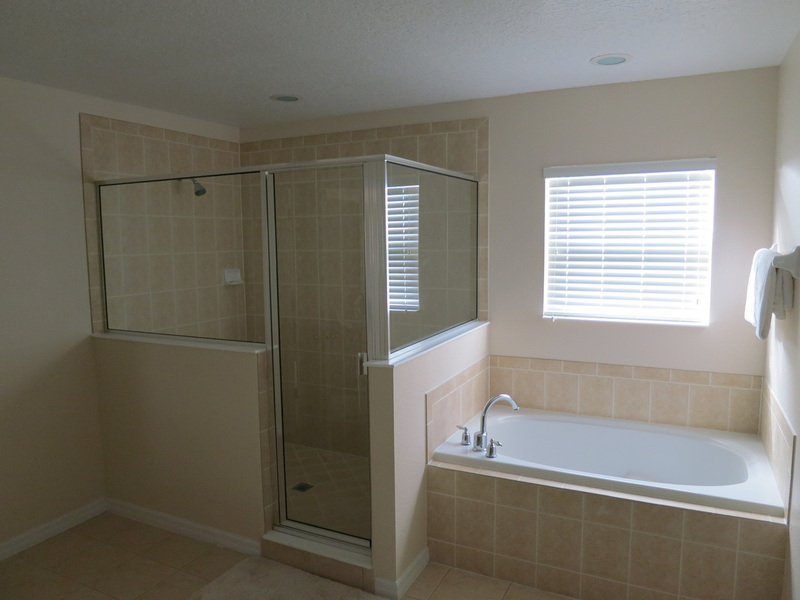 A second master ensuite is located at the other end of the hallway. This room has a queen sized bed and bathroom. 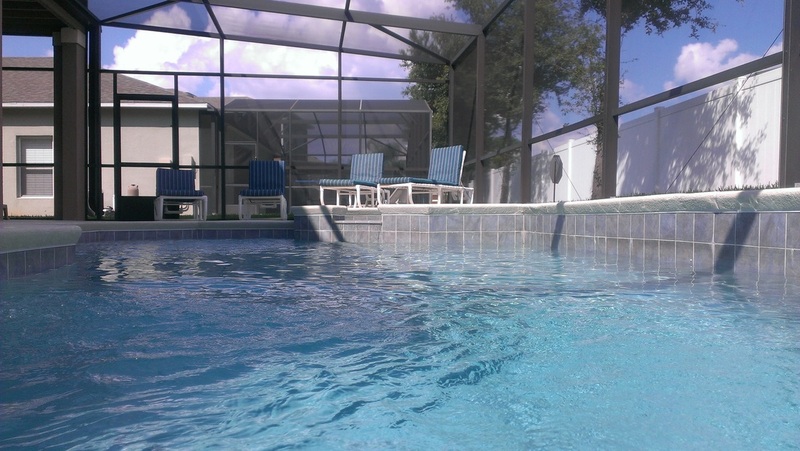 Both ensuites open to a screen enclosed 40 ft. balcony overlooking the pool. 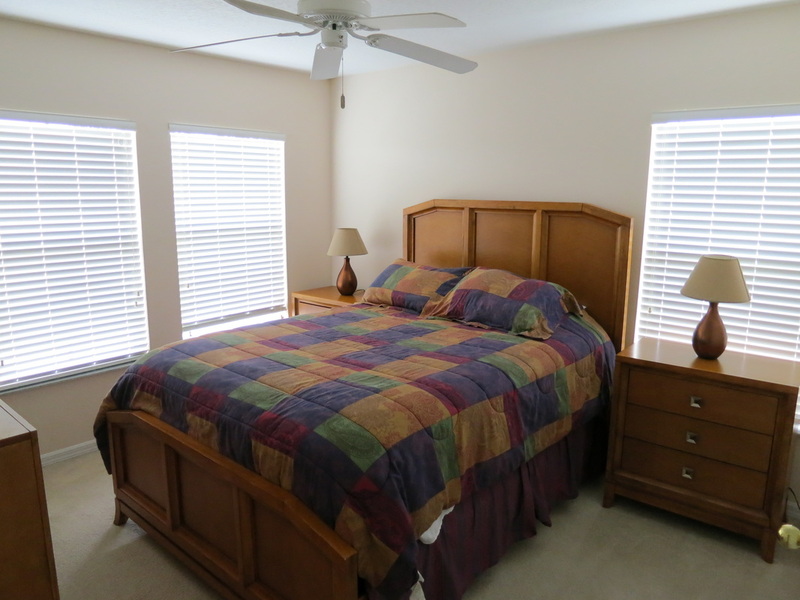 The 3rd bedroom on the second floor also has a queen size bed. 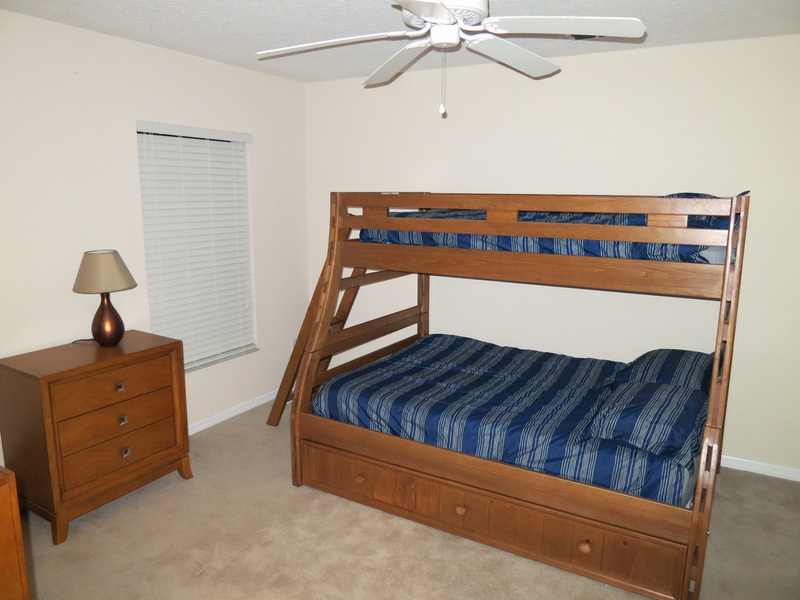 The 4th bedroom has a bunk bed/trundle configuration, perfect for kids. Both of these bedrooms share a hall bath. 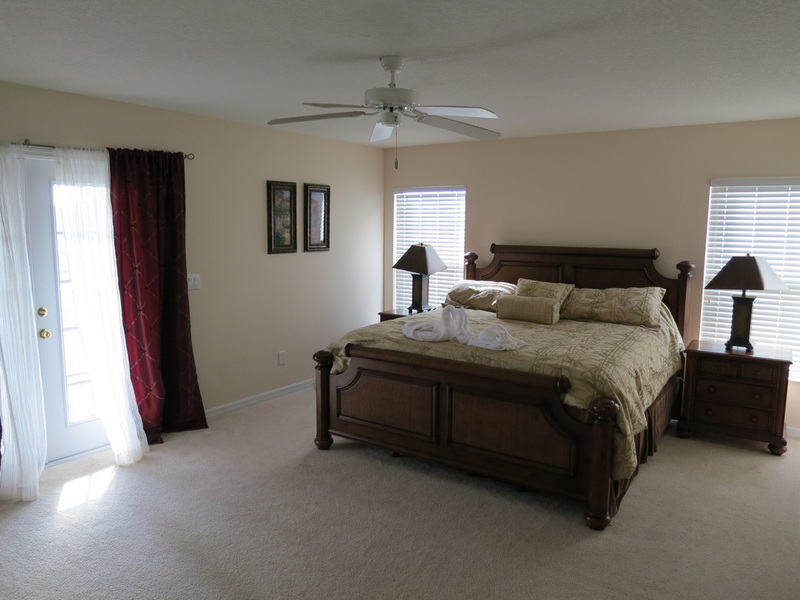 The bedroom on the first floor has a queen sized bed and full bathroom. 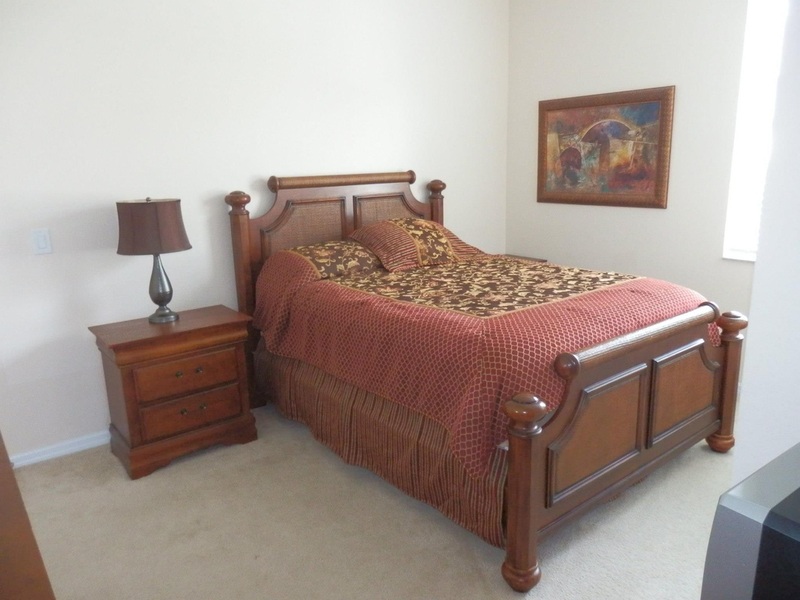 All bedrooms have brand new flat screen tvs and updated bedding. 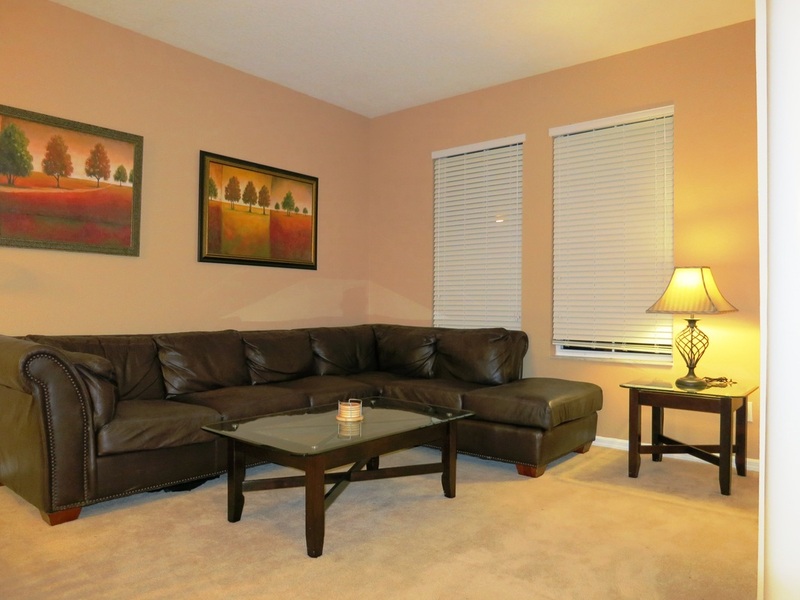 The large family room has an L-shaped sofa, perfect for kicking back and watching tv or movies on the 50” flat screen tv. The family room is all equipped with X-box with Kinnect and a blue ray player with an assortment of games and movies. 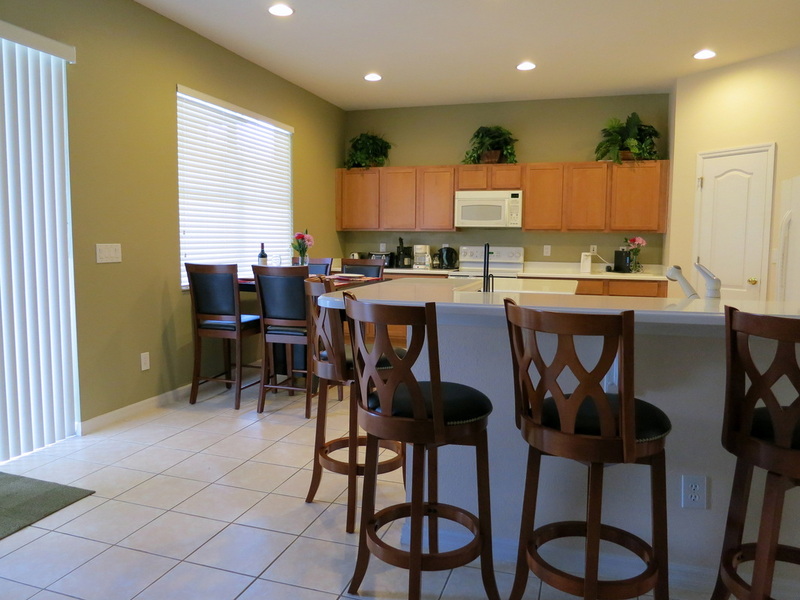 Adjacent to the family room is a massive kitchen with all the amenities you could need for large groups. 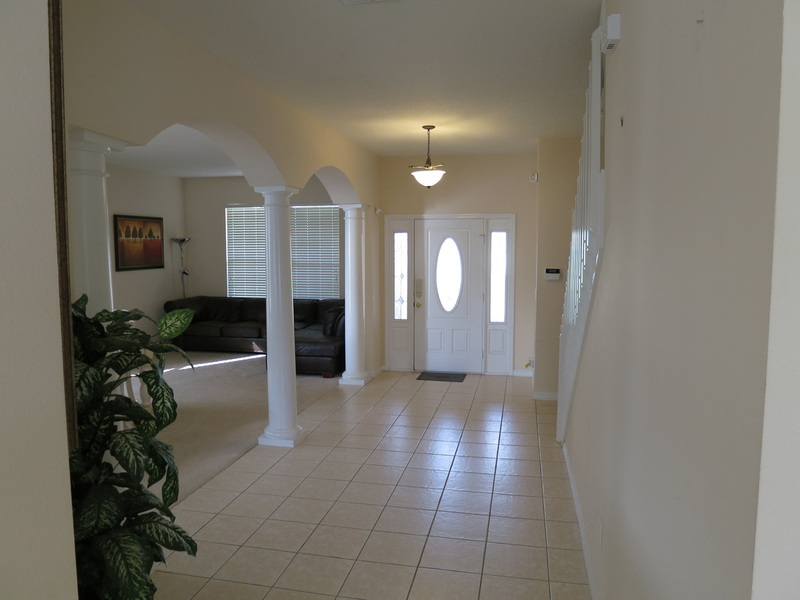 The home features cable tv, free wi-fi, telephone and a laser printer. The lanai features two large tables and chairs as well as 6 chaise lounge chairs and a new barbecue grill. 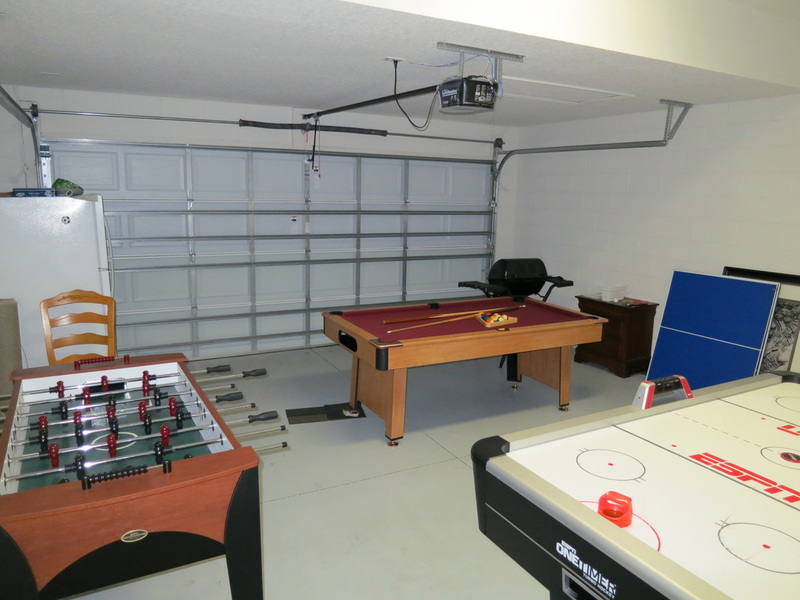 The games room located in the garage and offers fooseball, pool table and air hockey. 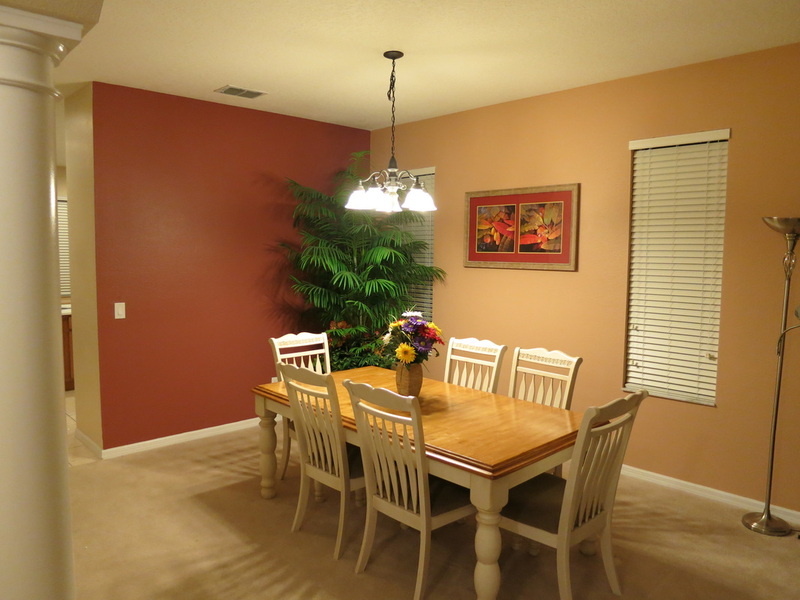 Many of the rooms have been updated with tasteful, but colorful, fresh paint. Our villa is located in a beautiful gated community that also has a full size club house complete with a luxurious pool and well equipped gym in addition to our own pool/spa. 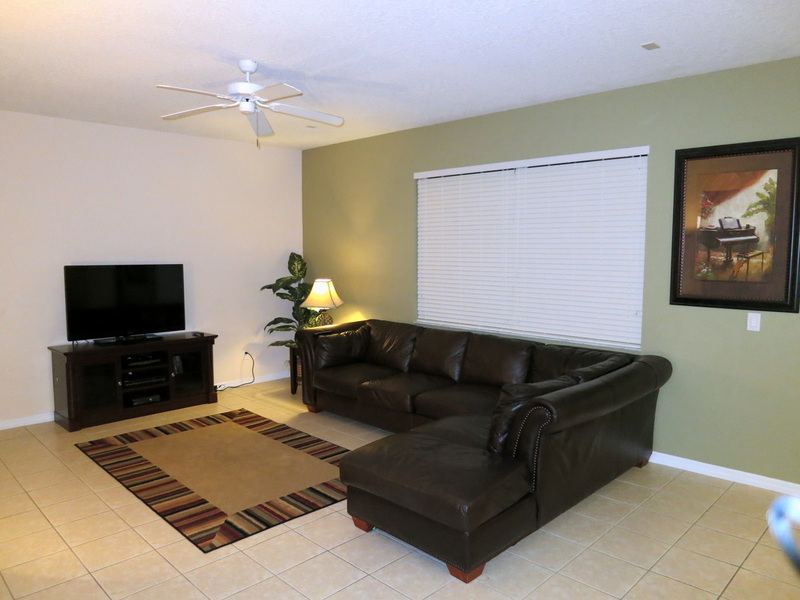 We are located ten minutes from Disney and about 25 minutes from Sea World and Universal Studios. 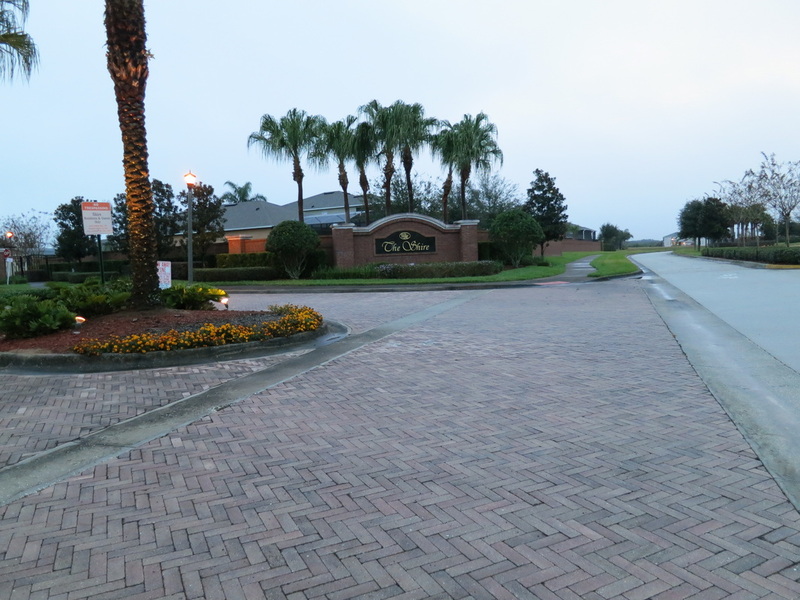 Champions Gate is a beautiful golf resort located less than 5 minutes. There are many upscale supermarkets, restaurants, retail stores, and outlets within a short drive. 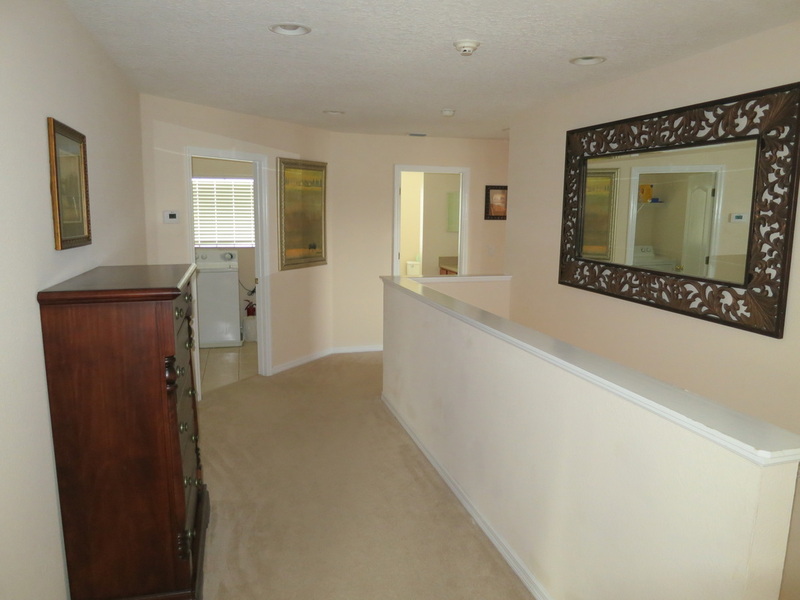 Our home is cared for by a locally based property management company to help you when needed and to ensure that your stay with us goes smoothly. 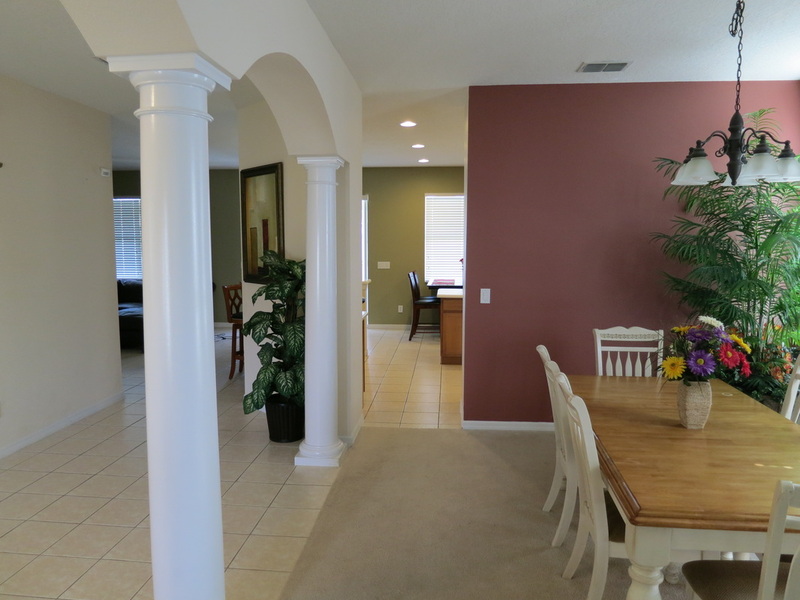 There are also two neighboring villas in our community available for rent in order to accommodate large parties. We offer discounts for stays longer than one week and occasional specials too.